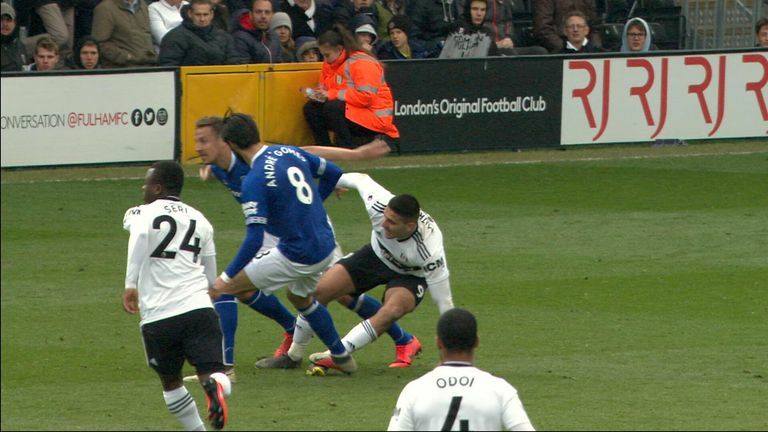 Andre Gomes has been charged with violent conduct by the FA following an incident during Everton's 2-0 defeat at Fulham on Saturday. The Portuguese midfielder, who is on loan from Barcelona, appeared to stamp on Aleksandar Mitrovic in the 95th minute of the game at Craven Cottage. The incident was not highlighted by any of the match officials during the match, but was captured on video. WATCH: Gomes lucky to avoid red? Gomes has until 6pm on Tuesday to respond to the charge. He has one goal and one assist during his season with Everton, and has reportedly attracted the attention of Tottenham ahead of the summer transfer window.